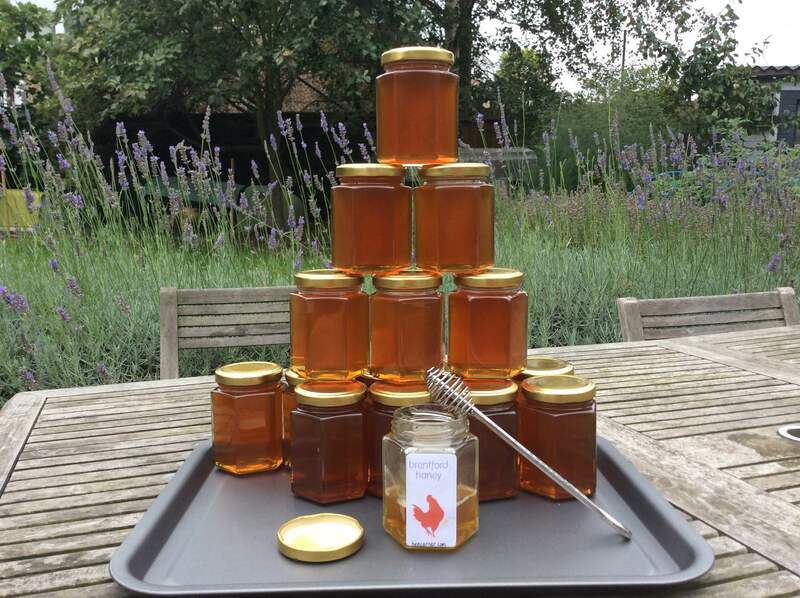 Our honey has been gathered in and we’ve bottled 50 jars ready to sell with more still on tap. The bees have been tucked up for winter with a treatment for the nasty varroa mite that affects most of the UK colonies and a tub of sugar syrup to help them build up food stores for the colder months. So as the UK bee keeping season comes to an end, how fitting that the Royal Mail are celebrating our pollinating heroes with a special collection of stamps that features six beautiful bees with the first day covers on an envelope printed with a honeybee and stamped with The British Beekeepers Association postmark. As you know, every British stamp has the Queen on it, and whilst a queen bee would have been nice, it would have been contrary to the law that was passed several years ago when the Royal Mail was up for privatisation; long may we have our queen’s head on our stamps and congratulations to Elizabeth II in becoming the longest serving UK monarch earlier this month. A couple of weeks ago, we were delighted to host creative branding agency BEAR London for their recent Team Away Day, the whole team came to Hen Corner, because as you know ‘BEARs love honey’, and we designed a full day of activities that enabled our guests to get their hands on the honey whilst learning about the craft of bee keeping, making frames for next year’s colonies and inspecting the bees at both the hive and behind glass. We had some lovely feedback and reviews from the team and are planning many more corporate sessions over the coming months, maybe your team at work could come and visit? Or we could host your small group Christmas event? Sara has been busy training as a Bread Angel with Jane Mason from Virtuous Bread and is looking forward to sharing her new skills in both our Bread: Sweet & Savoury course on Tuesday 29th September and as part of our monthly ‘Micro Bakery’. Bread, buns, cakes & pizzettes will be baked throughout the day, put your orders in early, and can be collected along with eggs, honey, jam and preserves between 5-7pm. We are planning this for the first Friday of each month, starting 2nd October, and hope that it’ll be a great start to the weekend! Our Pick and Pickle courses were successful again with around 70 jars of preserves made last week!